Defender calls on Saints' experienced players to take responsibility. The action from St Mary's as Saints hosted Liverpool. Watch our 90-second highlights from the game with Liverpool. Watch the boss's full post-match interview from St Mary's. Defender believes Saints must focus on themselves after ruthless Liverpool display. Defender reacts to a difficult afternoon at St Mary's. Some action shots from Saints' encounter with Liverpool at St Mary's. Two first-half goals end Saints' unbeaten run. Saints boss looks ahead to Premier League clash with Liverpool. Test your Saints knowledge with our pre-match quiz. Get the thoughts of the Reds boss ahead of Sunday's game. Watch our interview with Saints defender Wesley Hoedt. Wesley Hoedt on Saints' form, a connection with the fans and growing into Premier League life. Liverpool echo reporter James Pearce gives us some insight into Sunday's opponents. Watch Saints continue preparations for Sunday's game. Get the key pre-match facts and figures ahead of Sunday's game. Finished 2-0 to the visitors, with first-half strikes sealing the points. Mo Salah doubled the visitors' advantage just before half-time, linking superbly with Firmino. Big first-half chances for Højbjerg and Ward-Prowse went begging. Roberto Firmino gave Liverpool an early lead in the sixth minute, capitalising on a mistake from Hoedt. Read our report from St Mary's where two first-half goals secured victory for Liverpool: click here! First-half chances went begging, before Mo Salah's 21st goal of the campaign consolidated Liverpool's lead and gave the home side a mountain to climb. Too much in the end, as Liverpool run out winners at St Mary's. Saints undone by two first-half goals. The visitors largely contained Mauricio Pellegrino's men, although a spell of pressure in the first period presented two good goalscoring opportunities for Højbjerg and Ward-Prowse. Strikes from Firmino and Salah seal the points. An additional four minutes will be added here, but Saints haven't really made an impact in this second half. Liverpool happy to frustrate the home side by keeping the ball in their half. Salah withdrawn, Dejan Lovren takes his place for the remaining few minutes. The visitors are content keeping the ball. Adam Lallana is the latest player to go close though, bursting forward before curling his effort wide of the post. Well found down the right by Cédric, the cross is looped to the back post. Karius elects to punch, unconvincingly. But the ball is eventually cleared up field. Southampton's final change of the afternoon, sees Romeu withdrawn in place of Davis. He doesn't have long to make an impact! Adam Lallana comes on in place of Firmino. Off balance, the forward sends the ball aimlessly in to the stands. He was well found by Salah in the build up. 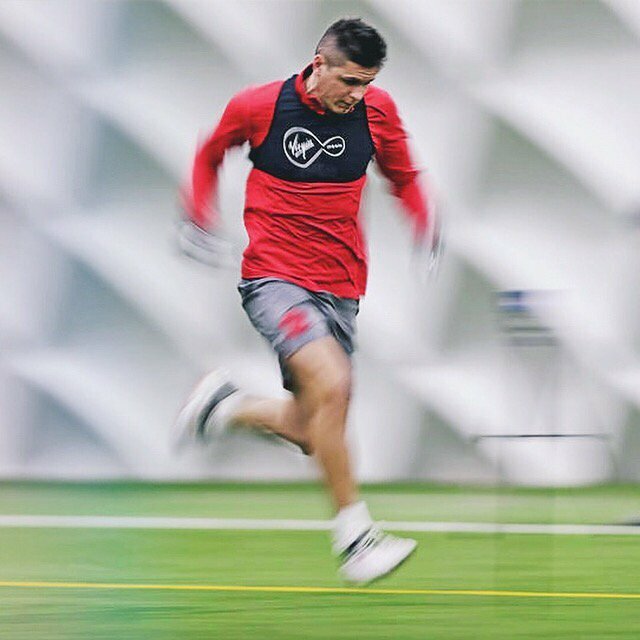 Working tirelessly to reach a ball which Alexander-Arnold was favourite for, the striker nips in front. But can't gather, before it rolls out of play. Shane Long introduced up top, will play alongside Carrillo. But can't find a way through. Before Firmino produces a save from McCarthy, and then Salah shoots wide of the post. The Saints midfielder is the first man into the book. That's the end of former Saint Oxlade-Chamberlain's afternoon, as Milner takes his place in midfield. The Dutchman gets across the front post to meet a Ward-Prowse free kick, but he cannot divert the ball on target. It's a first change of the game for Mauricio Pellegrino, as Boufal comes on to inject some extra creativity with the hour mark approaching. Liverpool have kicked off and we're up and running again at St Mary's. A big second-half performance needed! Come on you Saints! Saints trail by two at the break. Regular pairing Firmino and Salah the scorers, who in turn, assisted each other's strikes. After pushing for a goal of their own, and arguably against the run of play, Saints find themselves two goals behind as we approach the break. One minute of additional time. An audacious flick from Firmino finds the run of Salah, who sidefoots past Alex McCarthy to give Liverpool a two goal cushion. The striker invited Bertrand to advance down the left, the delivery was wayward. But Saints soon recover possession, Ward-Prowse again with the eventual effort, which required intervention from Karius. He's certainly been the busier of the two 'keepers! The home side have worked their way in to this one. A succession of corners from Ward-Prowse have looked dangerous, but as yet, no breakthrough. No further goals after Firmino's opener, but chances have come at both ends. Robertson is a threat down the left for the visitors, and Carillo, Ward-Prowse and Højbjerg have all tested Karius in the Reds' goal. Robertson's low ball was fizzed across the goalmouth, begging for a connection. McCarthy with the outstretched arm couldn't clear, but no takers in a Liverpool shirt. Mario Lemina goes down, having been stepped on by Firmino. Looks to be okay. Just after the restart, Mane is through but he stabs his effort wide. Saints on the front foot! Ward-Prowse this time with the headed effort, asking yet more questions of Karius's credentials. The stopper pulls off a superb one handed save to deny Saints, who look the more dangerous in this spell. A wonderful delivery from James Ward-Prowse, characteristically so. The striker gets up well, beats his man to the header but Karius saves. The goalscorer goes down in the penalty area under the pressure of Jack Stephens. Looked to be little in it, before Sadio Mane pulls the trigger from range. Dragged two yards wide. Whipped in from the left by the fullback, where Salah was waiting to pounce. The ball was cleared awkwardly by Wesley Hoedt, before Firmino inadvertently turned out for a goal kick. Højbjerg with a chance to draw level! The midfielder with a glorious opportunity to level the tie. Oriol Romeu switched a ball out to the right, where Højbjerg had pulled away at the far post. Taking the ball on his chest - Robertson was beaten by the flight of the pass - Højbjerg shot low but it was smothered well by Karius. Latching on to a lose ball, the defender takes a touch to steady, before striking just wide of the far post. In a rich vein of scoring form, you wouldn't bet against him getting another! Cédric tries to find the run of Tadić in behind, but he has strayed offside. Saints looking to get forward, after conceding the early goal. The visitors break quickly as Oxlade-Chamberlain finds Salah, whose clever pass inside is taken in his stride by Firmino to open the scoring. It's a very chilly day here at St Mary's, but both sets of players are now limbering up. Kick-off is just 30 minutes away! One change for Mauricio Pellegrino's men today, as Pierre-Emile Højbjerg replaces Sofiane Boufal, who drops down to the bench. Starting XI: Karius (GK), van Dijk, Wijnaldum, Firmino, Salah, Mane, Oxlade-Chamberlain, Can (c), Robertson, Matip, Alexander-Arnold. 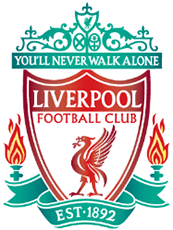 Subs: Mignolet (GK), Lovren, Milner, Moreno, Lallana, Ings, Solanke. Starting XI: McCarthy (GK), Cédric, Stephens, Hoedt, Carrillo, Tadić, Romeu, Ward-Prowse, Lemina, Bertrand (c), Højbjerg. Subs: Forster (GK), Yoshida, Long, Davis, Boufal, Gabbiadini, Redmond. We'll have your Saints starting line up in just over ten minutes time! Southampton's players are in the building! Watch as they interact with fans on their way in to St Mary's. 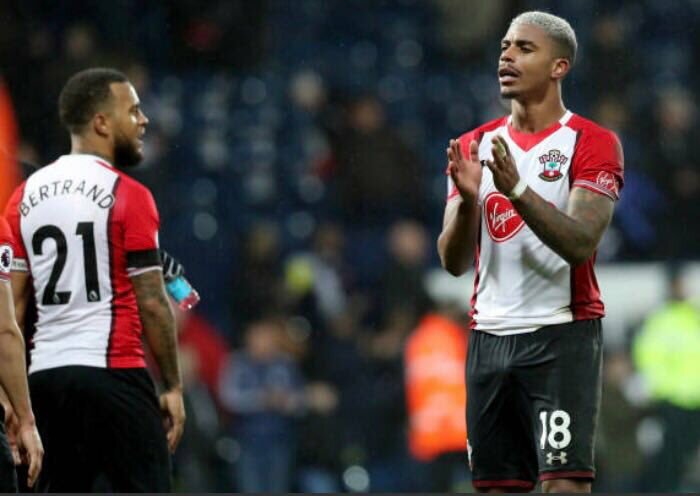 Who would you have in your Southampton starting XI today? We'll have all the live team news updates at 3:30PM GMT! There's a special relationship between liverpool and southampton, it won't be a friendly game! We fight for everything, they fight for everything. The fullback discusses how he struggles to get over a defeat, why he took five years to feel part of the England setup, and the time he had to deliver a pre-match team talk to established international stars at Chelsea. Take a look at a selection of photos from this week's training schedule at Staplewood, as Saints put the work in ahead of hosting Liverpool. i said after the west brom game that we have greater belief in ourselves now and that is the most important drug in this moment for our team. Welcome to Matchday Live! 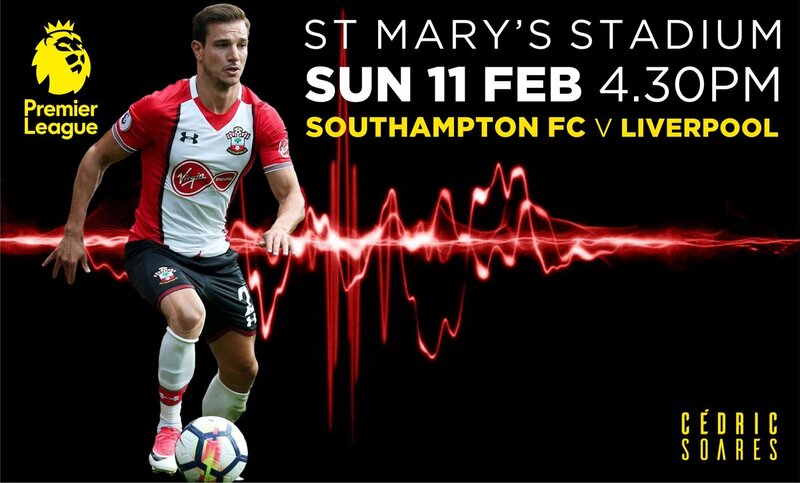 It's a big day in the Premier League, as Saints entertain Liverpool here at St Mary's, looking for back-to-back victories after last week's 3-2 triumph over West Brom.